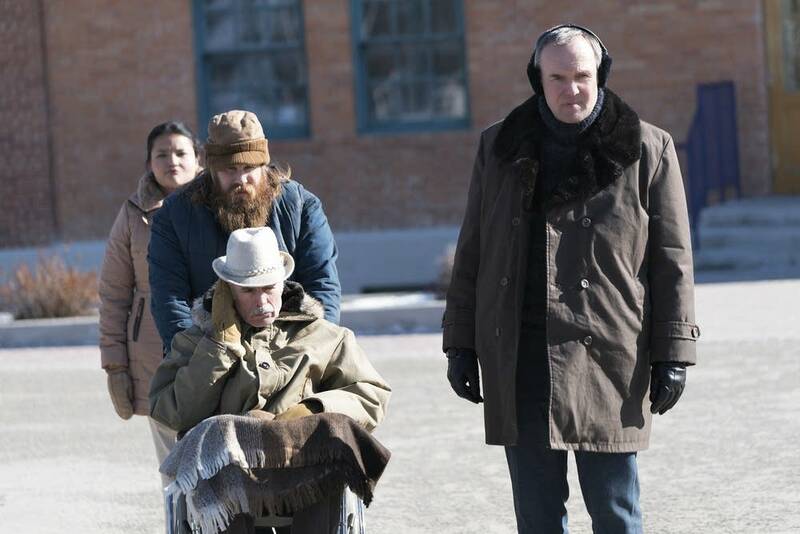 Every week on "Aw Jeez: A 'Fargo' podcast," hosts Tracy Mumford and Jay Gabler recap the latest episode, and interview experts about the mayhem, the mob and the Minnesota moments in season two of "Fargo." Listen to the audio for more analysis and speculation on last night's goings on. 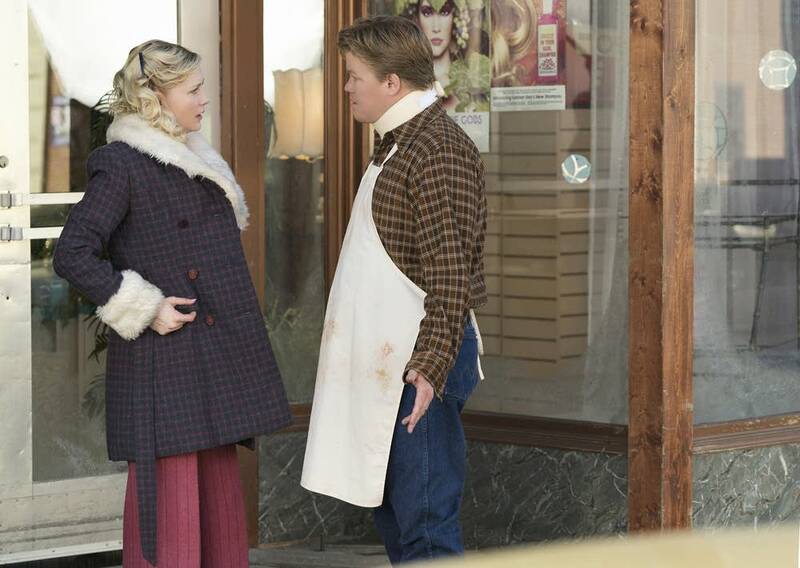 This week on "Aw Jeez," we interview Rachel Keller, the St. Paul native who plays wily Gerhardt granddaughter Simone on "Fargo." Last night, we saw Simone making some power plays of her own — but more on that later. The fourth episode of "Fargo" springs to life with those same typewriter keys pounding out "This is a true story" across the screen. Typewriters are a little bit of a sore subject, however, after the demise of Skip Spring underneath all that asphalt last episode. This episode is all about war: the Korean War, the Vietnam War, the war on cancer and — most importantly — the war that's brewing between Fargo and Kansas City. To begin, we've jumped even farther back in time to 1950 — complete with jaunty swing music and a Ronald Reagan movie playing at the theater. It's a simpler time, when the mob conducted all of its business in the theater seats. What starts as a wholesome family outing to the movies take a sharp turn into the criminal underworld. A younger, healthier version of Otto brings a darling 9-year-old Dodd along with him to confront the mobster that presumably put 19 bullets in Otto's father's head. The thin-mustached man is the new king of Fargo — but not for long. Flash forward to the responsible and productive adult that Dodd has become. He's gone around his brother Bear's back to include young Charlie in the Gerhardt family business. Charlie turns out to have some sharpshooting skills of his own, despite his lame hand. His eagerness to be involved, however, only paints the target a little bigger on his back. When Dodd takes Charlie along for a little doughnut run — no Gerhardt is ever shown far from food — they find a crew of Kansas City heavies waiting at the shop. Dodd goes straight for the cattle prod. He shocks the KC mobsters 'til they're prone on the floor, then gets down to necessities: A chocolate glazed and an old fashioned. Meanwhile, Peggy and Ed Blumquist are having a moment of romance — as romantic as you can be in tube socks, anyway. Ed's sure they're going to have a baby by winter, but Peggy's secret birth control stash says otherwise. While Ed's dreaming of babies and buying the butcher shop, Peggy's mind is already in Sioux Falls at the Lifespring seminar. Babies, butcher shops and even Ed do not seem to be a part of her five-year plan. But the Blumquists have another thing coming: Hanzee Dent. The Gerhardt's enforcer has followed Rye's trail all the way to the Waffle Hut, where he stalks through the crime scene and manages to find a key piece of evidence that's eluded law enforcement so far: A piece of the Blumquists' head light. 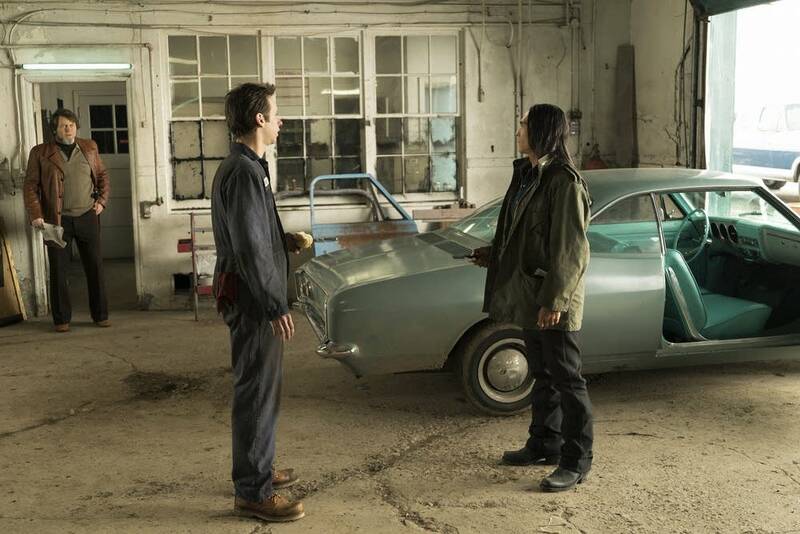 Supernatural happenings aside, Hanzee hits the local auto body shop, traumatizes the dim-witted mechanic with his tales from Vietnam, and gets a name to go with the smashed-up car: Ed Blumquist. He might have gotten more than that if local conspiracy theorist Karl Weathers hadn't been on-hand "stressing the plumbing." Weathers brings a gun to the knife fight, and Hanzee splits before Ted Danson can ride in on his white beard. But back to the Gerhardts. Granddaughter Simone's allegiances are up for grabs, apparently. We find her lounging around the hotel room, sans clothing, snorting cocaine off Mike Milligan's shoulder. She tells Milligan that her family will likely take Kansas City's buy-out offer — but they'll probably have to kill her dad, Dodd, in the process. She doesn't seem too broken up about the idea. In the basement of the same hotel, the rest of the Gerhardts are gathering in a dimly lit conference room with plastic sheeting for walls. (Makes crime scene clean-up easier.) The family takes their seats opposite the Kansas City enforcers, and Floyd, done up in her Sunday best, complete with pearls, does not take the deal. Instead, she counters: The Gerhardts maintain control in Fargo, with Kansas City as a partner. Bulo, playing the embodiment of corporate greed in his three-piece suit, tells Floyd that there's no place for family businesses anymore. Dodd's cattle prod incident at the doughnut shop proves the Gerhardts are loose cannons that can't be trusted, he says. No counter, no deal. "Anything less than unconditional surrender and we'll wipe every Gerhardt off the face of the earth." That would certainly kick up the body count. Back in Luverne, it's clear that no one locked their doors in 1970s rural Minnesota. Hanzee strolls right into the Blumquist garage on his continued hunt for Rye. It doesn't take him long to piece together what happened: The bleach marks on the garage floor are just the first clue. Rye's American eagle belt buckle in the fireplace leaves no doubt. Simple Ed has forgotten that belt buckles don't burn. Hanzee likely would have stayed to wish Peggy and Ed an unhappy homecoming if Lou hadn't followed his trail to the Blumquists' front porch. The Gerhardts' enforcer slips off into the night, and Lou is there to welcome the couple home. Lou's had a hard day already, at this point: Betsy's cancer treatment isn't working, and his once-quiet town has now been invaded by mobsters from the north and south. He's not in the mood for the Blumquists' denials. It took him four episodes, but he's figured it now, he tells them: The Blumquists — he doesn't know which — hit Rye and disposed of his body. He knows, and, most importantly, the Gerhardts know — and they "hurt people for money." If Peggy and Ed don't come clean, he can't protect him. For a minute, it seems Ed might crack under the questioning, but Peggy's there to keep up the facade. Resigned, Lou leaves them to their lies. "Lock your door," he says. 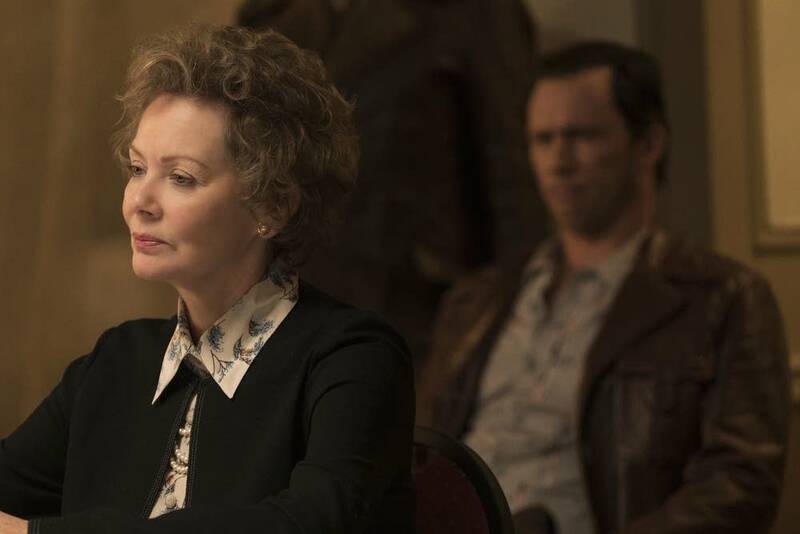 In the morally twisted world that is "Fargo," the bad-to-the-bone Gerhardts are now pulling at the heartstrings in the aftermath of their disastrous meeting. Kansas City's genocide has already begun: Milligan and the Kitchen brothers took out Otto's bodyguards and nurse. The realities of the coming violence are sinking in. So what's the family going to do? We find Floyd curled around the motionless form of Otto in bed. Her sons need to know what's next; there's no time to rest. Floyd fixes her sweater, puts on her shoes, and pronounces: "It's war."